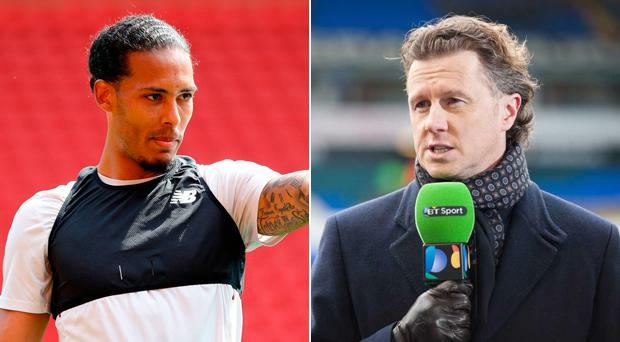 Steve McManaman believes Virgil van Dijk has been a vital ingredient in Liverpool’s emergence as potential champions of Europe, as he suggests the Dutch defender has transformed a Liverpool defensive line that will do battle with Real Madrid in Saturday’s Champions League final. Van Dijk has made a huge impact in Jurgen Klopp’s side since his £75m arrival from Southampton in January, with McManaman telling Independent.ie that his presence has helped to transform the Liverpool defence. “He’s been brilliant and the most important thing is he has made the other three or four players better as well,” former Liverpool and Real Madrid star McManaman told Independent.ie. “His communications skills are great, his organisation is excellent and they don’t look panicky any more. They also look more secure aerially, which was a big concern earlier in the season. Any time a cross came into the box, you were hiding behind your hands fearing the worse. “Dejan Lovren looks a better player alongside Van Dijk. The goalkeeper seems more secure and that is because they have confidence that they have a powerful defender controlling things who can deal with the danger. McManaman suspects Real Madrid will target Liverpool’s teenage full-back Trent Alexander-Arnlod in Saturday’s final in Kiev, yet McManaman is convinced the youngster player taking part in the biggest game of the European season will handle the pressure. “We forget that this kid has just turned 19 and he is playing in a Champions League final,” added McMamaman. “He was great in the quarter-final against Manchester City and even though he struggled in the second leg of the semi-final in Rome, he is doing great. “I was watching him for the under-23s and the under-18s last year and he is bound to have little dips, but he has Gini Wijnaldum, James Milner and Jordan Henderson in front of him and experienced centre-backs to help him as well.